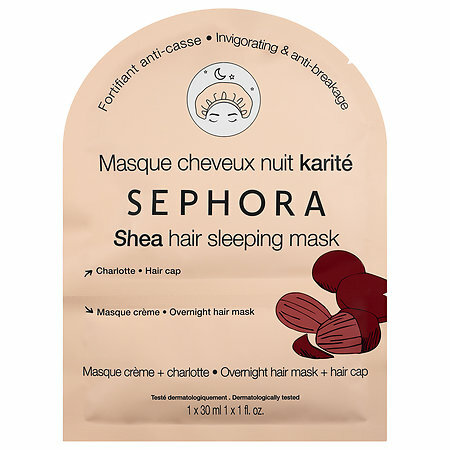 If you've ever wanted a fast acting, easy to use overnight hair treatment that won't break the bank, the new SEPHORA COLLECTION Hair Sleeping Mask is just what you need. 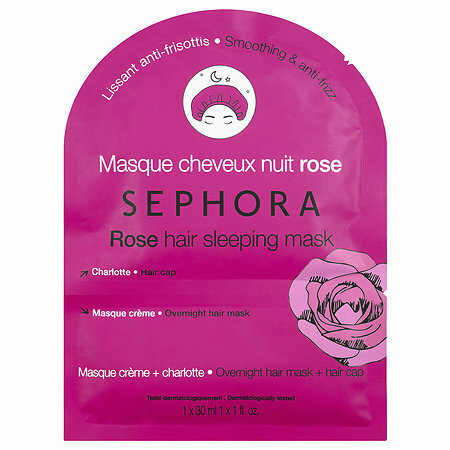 SEPHORA COLLECTION Hair Sleeping Mask comes in four versions, to help condition, repair, smooth and retain hair color. Each pack contains the cream mask and a cute hair cap to wear overnight. I tried two of the four versions, the SEPHORA COLLECTION Hair Sleeping Mask Rose and the SEPHORA COLLECTION Hair Sleeping Mask Shea. Since these are meant to be rinsed out in the morning, I applied them the night before I washed my hair. Note: If you're on vacation where you'll be swimming/getting your hair wet later in the day, I recommend just rinsing the SEPHORA COLLECTION Hair Sleeping Mask out with water when you wake up in the morning. I applied the creme conditioner from the SEPHORA COLLECTION Hair Sleeping Mask to my dry hair (there is a large amount of conditioner enclosed, so even if you have very thick/long hair you will be able to cover all your hair). Then I pit on the enclosed hair cap and went to bed. 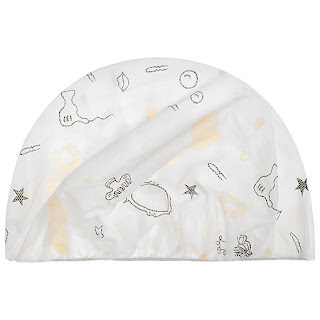 I loved that the cap stayed on well (the cap can be reused), and my hair didn't feel wet or greasy during the night. Also, the cap isn't made with a noisy plastic material, so when I turned and slept I didn't hear any distracting crinkling noises. In the morning, I was very impressed with how soft and silky smooth my hair felt. There was no trace of dampness or oil, but my hair was conditioned with no residue or sticky feel. I love the SEPHORA COLLECTION Hair Sleeping Mask so much that now I used them weekly in combination with my shampoo/conditioning routine. 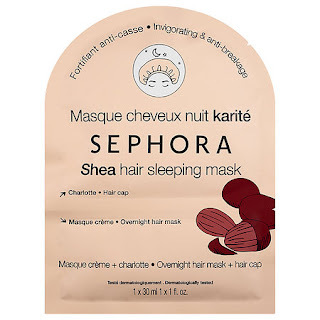 Of course, if you don't want to wear the SEPHORA COLLECTION Hair Sleeping Mask overnight due to the cap, you'll also get great results by applying the mask with the cap and using it as a deep conditioner for 4-5 hours while you watch TV or do work around the house, for example, and then rinsing out. When combined with a good moisturizing, conditioning shampoo and conditioner, SEPHORA COLLECTION Hair Sleeping Mask made my hair look and feel better each and every time. With it's individual sheet packaging, these are perfect for travel to keep hair looking great.